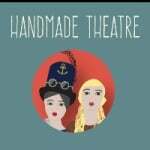 HandMade Theatre would like to create a new interactive family show 'How Time Flies' all about archaeology, ancient history and discovery. Our creative producer, Suzy Gunn explains why we are so passionate about our new show, How Time Flies, and why we need your help to get it made! New reward! 'THE CLEOPATRA' - An illustrated caricature of your choice! There are just a few days to go until the end of our fantastic crowdfunder campaign so we've teamed up with illustrator Mark Dickson (beefys-caricatures.com) to create a fantastic reward! Just 8 days to go until the end of our Crowdfunder campaign! We'd like to say a huge thank you to everyone who has supported us so far. To say thank you we're taking you behind the scenes of our "one-shot" Crowdfunder video! If you've ever wondered about our work with young people with autism and why we care so much about it, here's a little video from Andy Sloan, former head teacher at Rosehill School in Nottingham to tell you about it. TUTANKHAMUN: A warm and fuzzy feeling and a big social thank you! THE VIKING: A bespoke thank you e-card and a big social thank you! THE DEAD SEA SCROLLS: A beautifully crafted and signed HandMade thank you card! THE SAXON: A beautifully hand-crafted felt brooch. THE CLEOPATRA: A caricature of your choice! We've teamed up with illustrator Mark Dickson to create a fantastic reward! For £75 you'll get a social shout out, personalise e-card and a single caricature of anything you want! It could be yourself, your better half or even the family pet! TERRA COTTA ARMY: A family ticket to an exclusive preview performance of 'How Time Flies' with a post show photo and celebratory drink of fizz with the cast and crew of HandMade Theatre. SUTTON HOO: A limited edition original artwork, hand drawn by designer Amy Nicholson. POMPEII: A one day willow making workshop with tea and cake. RICHARD III: Spend a day back stage with the company. Join us in rehearsal and hang out with the team, including a tasty afternoon tea.